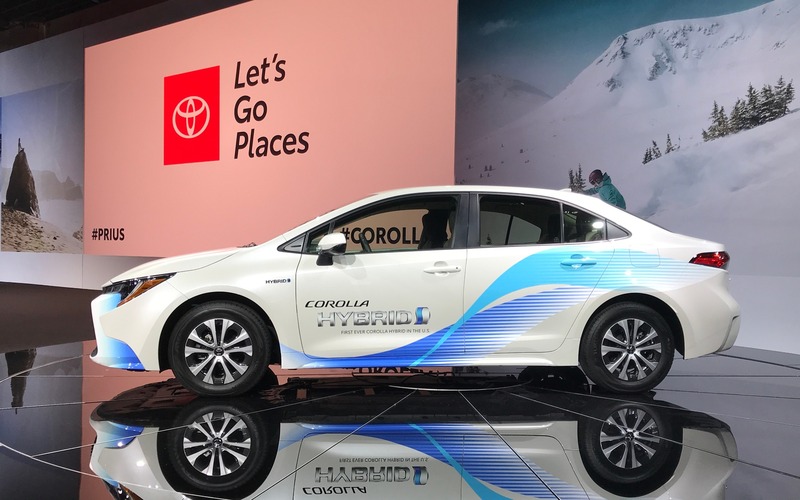 For the first time in its 53-year history, the Toyota Corolla will be offered with a hybrid powertrain. Aside from its appropriate badging, we’ll be able to spot this version of the popular compact sedan by its exclusive 15-inch wheels, wrapped in low rolling-resistance tires. The 2020 Toyota Corolla Hybrid will benefit from the same Hybrid Synergy Drive system as what’s found in the latest generation of the Toyota Prius. It consists of an Atkinson-cycle, 1.8-litre four-cylinder engine, matched to a pair of electric motors and a continuously variable automatic transmission. The Atkinson engine squeezes as much power as possible from the fuel/air mixture, while the electric motors compensate for the thinner torque related to this type of combustion cycle. As is the case with the Prius, the 2020 Corolla Hybrid will include an EV mode to maximize fully electric driving. Unfortunately, the car can’t be plugged in, a feature that’s exclusive to the Toyota Prius Prime. Other drive modes are available as well, including Normal, Eco and Sport, the latter making the Corolla’s powertrain slightly more reactive. The Corolla Hybrid will also feature the Toyota Active Sense 2.0 suite as standard, which rounds up pre-collision warning, blind spot monitoring and lane departure warning, among other things. Inside, we find a new, ultra-modern instrument panel in addition to the Entune 3.0 infotainment system, which also includes Apple CarPlay and Android Auto integration. The new model will be on sale in the spring of 2019, and pricing will be announced at a later date.